The Aston family were Lords of the Manor in nearby Tixall and for a long time had held important positions at court. 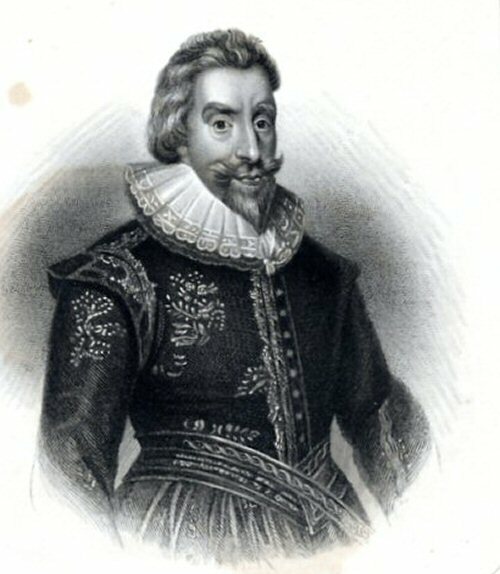 The first Walter Aston had held Mary Queen of Scots briefly captive for Elizabeth I at his Tixall mansion following the unmasking of the Babbington Plot. His grandson the third Walter Aston purchased the main Colton Manor from the Gresley family in 1610 for £16,000; a considerable amount of money in the 17th. Century. He was already a Knight of the Bath and a gentleman of the Privy chamber in the court of James I. He was a staunch protestant when he purchased Colton. He was given the important appointment of Ambassador to Spain for James I in 1619. The long time he spent in Spain as the Ambassador virtually ruined him as most of the time he had to pay his own expenses. Upon his return to England at the death of James I he pleaded to Charles I for repayment. He was rewarded for his services to the crown by being created Lord Aston of Forfar. He returned to Spain again as Ambassador until 1638 and it was during this second stay that he and his son Herbert converted to Catholicism. This was a period in English history when to be a practicing Catholic was outlawed and his family would subsequently suffer some hardship for their adherence to the Catholic faith. There are a number of letters in the 'Tixall collection' held in the Staffordshire Archives that show Sir Walter clearly resided for some time at Colton. Upon his death in 1639 his first son Walter, inherited the Tixall estates and the Baronetcy. His wife Gertrude continued to live at Colton Hall and the family were soon paying fines for being Recusants. Some time around 1648, Colton Hall burnt down and Lord Aston sold the ruined Colton Hall to Walter Chetwynd of Rugeley but his brother Herbert received the land. Herbert had already built a house called Bellamour at Colton on land given to him by his father upon his marriage. The ruins of this house can still be seen on entry into the village. Herbert achieved notoriety towards the end of his life when he was implicated in the Popish Plot. This plot allegedly intended to kill the King, was eventually exposed as a hoax but not before Herbert had spent some time in the Tower of London under threat of Execution. Herbert died in 1689 and the Colton estates passed to his eldest son John. He died childless so the Colton estate reverted to James, the fifth Lord Aston- the Tixall line of the family. His heir, Mary Aston married into the Blount family of Worcestershire and upon the death of her father, his estates including Colton, passed through her marriage into the Blount family. Thus in 1766 Sir Walter Blount became the new owner of the Colton Manor.